INCA Internet response team detected malicious file which contains malicious file disguised as a portrait file from 04 May 2012. On April, various reports about this file can be found on internet so far, yet it can be found in Korea. 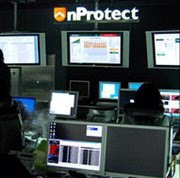 Besides, this malicious file has various variants; we add patterns on our nProtect Anti-Virus. 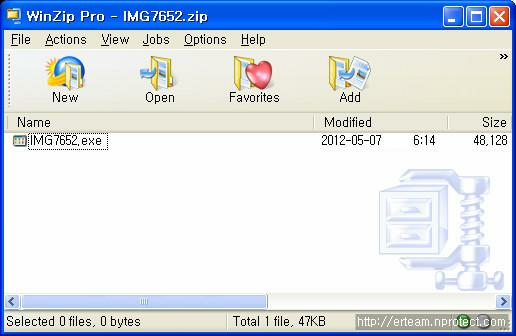 Containing EXE(ZIP)file on attachment of e-mail has great possibility to be revealed as a malicious file. ZIP typed attachment is disguising as an image file, and it actually contains executable file. User will be infected by malicious files after extracting and executing ZIP file. After being infected, clone file of malicious file will be created on "All Users" path. And it adds registry on following path and makes run on booting. svchost.exe tries to access TCP/IP, yet it doesn't connect certain host. Spreading malicious file with social engineering is one of traditional technique. To use PC safely from security threats of these malicious attachments, we recommend you download latest security updates and obey following "Security management tips" for general users. 2. Use anti-virus SW from believable security company and keep updating the latest engine and using real time detecting function. Need help with an argumentative essay writing? Follow my link and get it! If you want to view a guide on writing a process essay, view it now then! Don't wait! I think there is much more to learn on this topic. Just click on this link to proceed. Your article causes me to think deeply about this issue, but in general, I fully support your opinion. By the way, I came across another interesting article - https://essaysreasy.online/blog/easy-essay-topics - here are a lot of interesting tips and hints on how to make the future work better. Your article can be a living illustration for the Internet security essay! Together with tips taken from https://writemyessay4me.org/blog/get-harvard the paper will definitely be top-notch! Let alone the fact that there one can find useful info how to enter the best universities in the world! You better ignore this emails then virus everywhere.